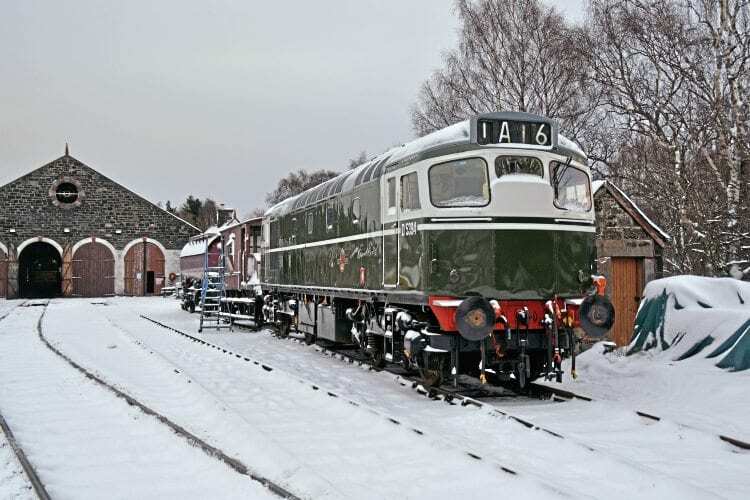 THE Strathspey Railway had the snow it hoped for, covering the Cairngorms winter landscape for its steam-hauled ‘Santa’ specials. On occasions, conditions were -13°C, with nearly a foot of snowfall at Aviemore. Class 27 No. D5394 is seen early morning on December 9 outside Aviemore shed where it was kept on standby. The railway’s next workings are ‘panoramic’ diesel railcar services on selected days in February and March, departing Aviemore at 11.00 and 14.00, starting February 14.